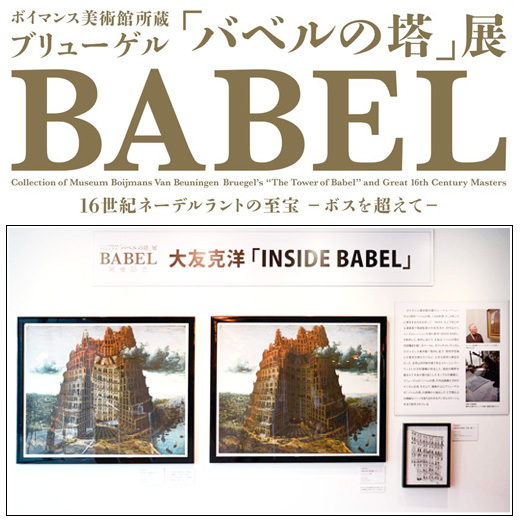 This May issue of Geijutsu Shincho (芸術新潮) magazine features a exclusive report on the production process of Katsuhiro Otomo's last illustration "INSIDE BABEL" created for the exhibition BABEL that opened it's doors last week in the Tokyo Metropolitan Art Museum (東京都美術館). Along with articles and talks with art historian Yoko Mori (森洋子) this issue covers various historical aspects of Brueghels painting as well as Otomo's new approach, his tour to Netherlands and the challenges of the process. 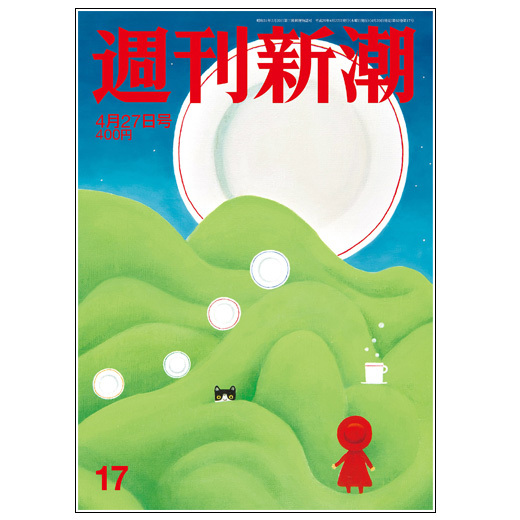 This week , Shukan Shincho (週刊新潮) magazine features a 4 page report on Otomo's last illustration work INSIDE BABEL. 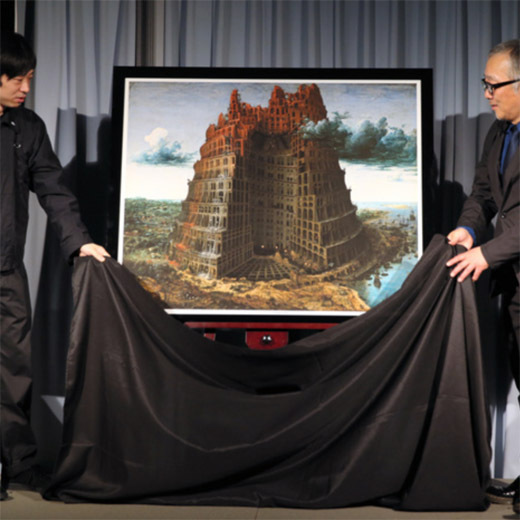 Today opened its doors the exhibition "The Tower of Babel" and the 16th masters - Beyond the Boss (ボイマンス美術館所蔵 ブリューゲル「バベルの塔」展 16世紀ネーデルラントの至宝 ― ボスを超えて ―) in the Tokyo Metropolitan Art Museum (東京都美術館) and will be opened to public until July 2, 2017. 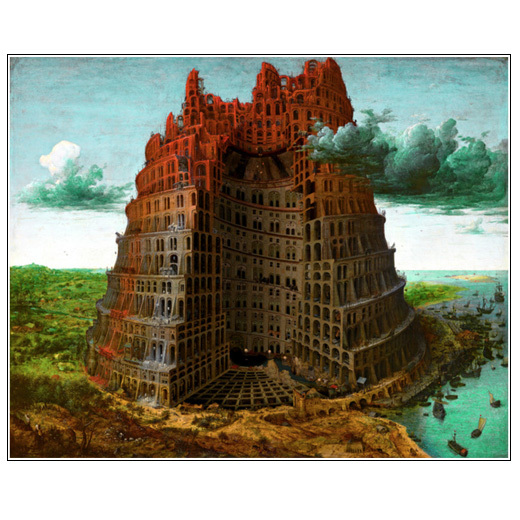 Katsuhiro Otomo's INSIDE BABEL collaborative reinterpretation of the classic painting THE TOWER OF BABEL painted by Pieter Brueghel will be on display in the entrance. Otomo's work is a cross-section of the tower imagining how it would be from the inside. 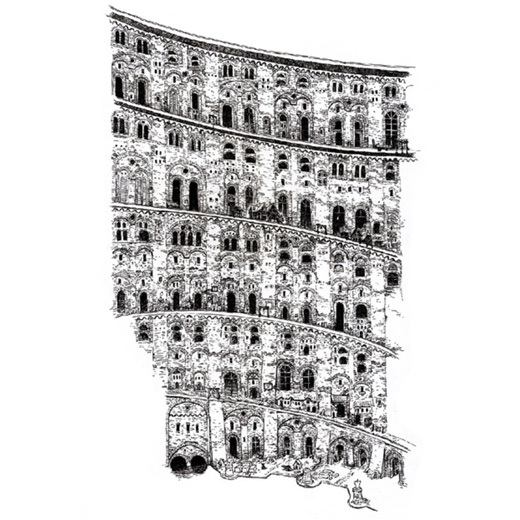 Two versions of the digital illustration are presented in the exhibition, one respecting the overall mood of the painting and the other one enhancing the cut-out section to highlight the interior for better appreciation of details. Otomo's hand drawn work-in-progress illustrations are also on display at the exhibition. 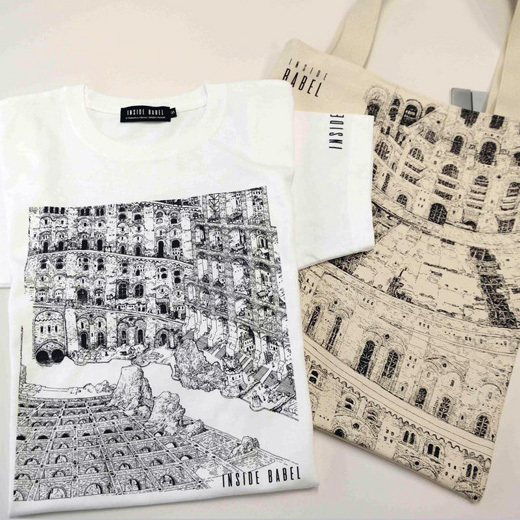 Both the digital painting and the hand drawn illustrations reproduction, as well as t-shirts (¥2.800) and tote bags (¥4.500) will be available at the museum store during the exhibition period and online at the Asahi Store. A limited to 150 signature edition of the illustration signed by Katsuhiro Otomo and Kosuke Kawamura is also available in the Asahi Store with a retail price of ¥85,000. Katsuhiro Otomo and Kosuke Kawamura unveiled today to the media their last collaboration INSIDE BABEL. 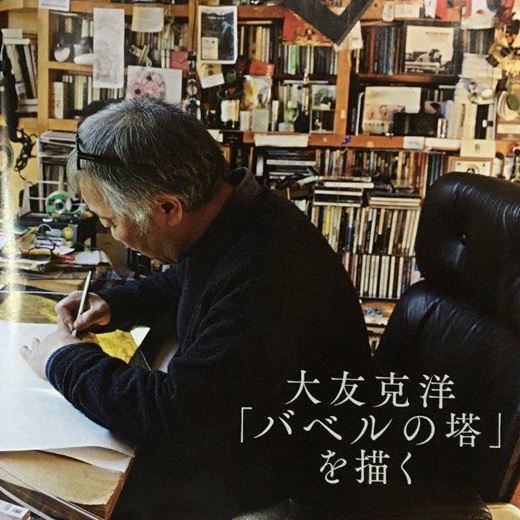 Asahi Shinbun covers the news with a video of the press conference and a sneak peak inside Otomo's studio. 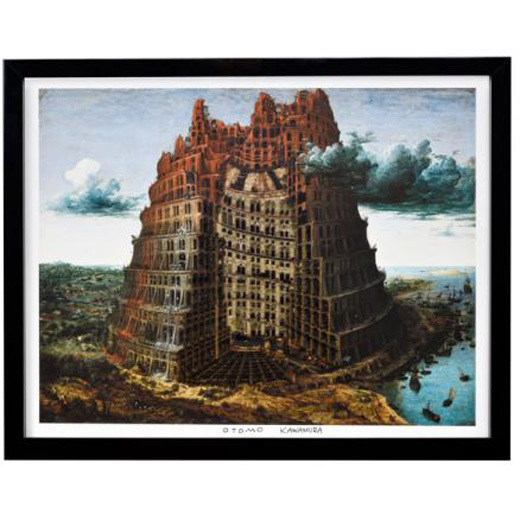 Katsuhiro Otomo has collaborated with collage artist Kosuke Kawamura (河村康輔) in a digital illustration that reinterprets the classic painting THE TOWER OF BABEL painted by Pieter Brueghel in the year 1568 and exhibited in the Museum BVB, Rotterdam, the Netherlands. The digital print that measures 90 × 110.5 cm will be shown in the upcoming exhibition Collection of Museum Boijmans Van Beuningen Bruegel's "The Tower of Babel" and the 16th masters - Beyond the Boss (ボイマンス美術館所蔵 ブリューゲル「バベルの塔」展 16世紀ネーデルラントの至宝 ― ボスを超えて ―) that will take place in the Tokyo Metropolitan Art Museum (東京都美術館) from April 18, 2017 to July 2, 2017 and in the National Museum of Art (国立国際美術館) from July 18 2017 to October 15, 2017. 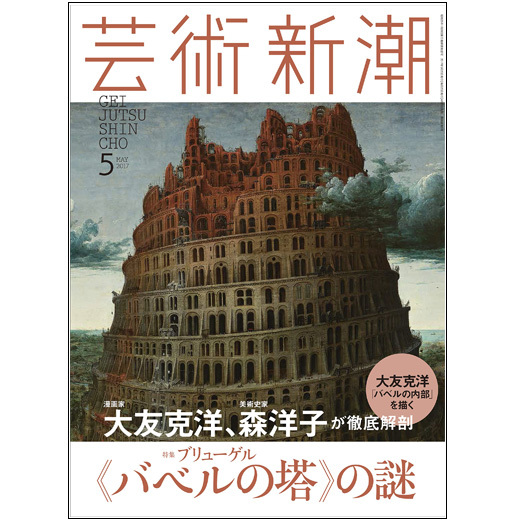 Otomo, who lists Brueghel as one of his favorite painters, decided to reinterpred the painting focusing on the internal structure of the Tower of Babel. Prior to the production, he visited the Boijmans Museum of Art in Rotterdam and planned the idea after exchanging opinions with the museum curators. 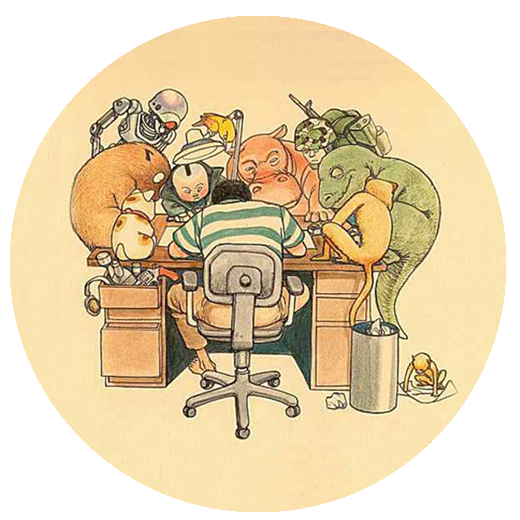 The coloring of the work was handled by Kosuke Kawamura, a collage artist who has collaborated with Otomo before. 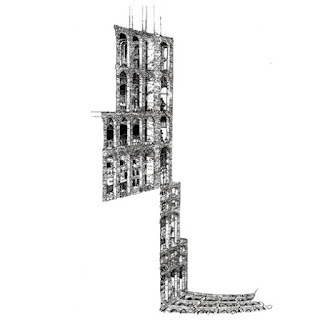 They used a digital collage method to synthesize the hand-drawn sketches by Otomo into the original painting and then paste over 20,000 small parts from all over the tower's painting.